The Galaxy Note 7 will be available from all major carriers, with pre-orders starting this week on August 3rd. Samsung have not released pricing for the Note 7 yet, but have said it will be more then the S7 Edge, so you should expect to spend a fair amount of money on this device. Under the hood, it is clear the Note 7 is part of the S7 lineup of devices packing a Qualcomm Snapdragon 820 processor, 4GB RAM, quick charge and wireless charging, a 12 Megapixel camera and will be water resistant rated at IP68. The Note 7 will also have support for microSD cards and will come standard with 64GB of internal storage compared to the current 32GB on the S7, and the battery in the device will be 3,500mAh, compared to the Note 5’s 3,000mAh cell. The visual look of the Galaxy Note 7 also matches what we have already seen with the S7 lineup. The screen features a dual-curved Super AMOLED display with quad HD resolution (2560 x 1440) at 5.7 inches. The Note 7 also moves to USB Type-C charging, a first for a Samsung device. With the specs largely the same as the S7 lineup, Samsung is ensuring the features make it stand apart. The Note 7 features an Iris scanner, that will allow you to unlock your phone with your eyes. The Iris scanner can also be used to lock down spacific apps, photos, notes, or content placed in a secure folder. 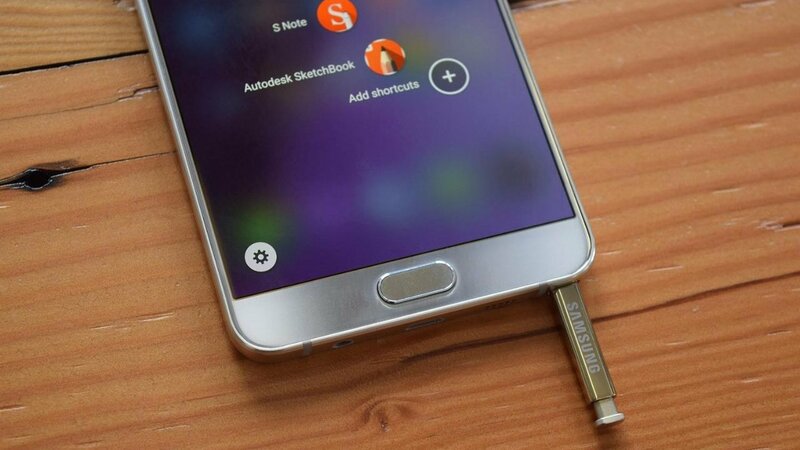 As with any phone in the Note lineup the Note 7 would not be complete without the Samsung S pen. This years version has a major update, now featuing a finer point, twice as many pressure sensitives (4,096 compared to 2,048 of previous models) and is now water resistant. Samsung have also added new software features to the OS that the S Pen will be able to take advantage of such as magnifying loupe, and a new quick text translation tool. You can find the full live-stream for the Unpacked Event at Samsung’s official Unpacked page here.